As Stagebill magazine proclaimed, Eugene Burger is "universally recognized as perhaps the finest close-up magician in the world." "Close-up magic" is just that: magic performed right under your nose, where everyone becomes part of the show. And with Eugene Burger it is an unforgettable experience, for as the Chicago Reader noted in an unprecedented eleven-page cover story about him, "Burger adds something extra." His warmth and humor are captivating and his magic is simply amazing. By definition, magicians are pretty special people, but Eugene Burger is considered exceptional even by other magicians. He has written fifteen best-selling books for the trade, starred in eight instructional videos, lectured extensively to magicians' groups in over a dozen countries, and his writings have been translated into several languages. His deep understanding of the psychology and philosophy behind the magic have won him international accolades, cover stories in conjuring magazines, and four awards from the famed Magic Castle in Hollywood. But as much as he loves discussing magic with fellow performers, Eugene's true passion is bringing mystery and enchantment to the public, and at this he is unparalleled. His special presence has led to numerous television appearances in Great Britain, Canada, Belgium, Finland and Japan, and on such highly acclaimed shows as The Art of Magic on PBS and Mysteries of Magic on The Learning Channel. He's been profiled twice on CNN. During the past several years, Eugene has been a featured speaker for top executives of such major companies as Coca-Cola, Williams-Sonoma, Unisys and Pottery Barn, as well as top business schools including Wharton, and the graduate schools of business at the Universities of Chicago and Maryland. His talk, "How Magicians Think," applies his special understanding of deception and perception to the corporate world. 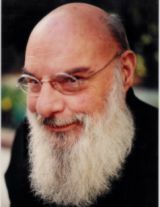 When the leading international trade journal Magic magazine compiled its list of the one hundred most influential magicians of the twentieth century, Eugene Burger was included for his ability to "arouse feelings of astonishment, as well as a host of other indescribable sensations."